Your roof is composed of many different aspects that need to be in great shape in order to work harmoniously. 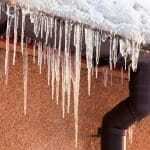 If one component is damaged; your entire roof and dwelling can suffer detrimental results. There are a variety of signs and symptoms an unhealthy roof exhibits. Thankfully, our professional and experienced crew at Claw Roofing can help you pinpoint the problem and repair your residential or commercial space. Disintegrating shingles and roofing materials often leave evidence within your gutters. Be aware if you notice particles resembling sandy gravel or asphalt during your biannual gutter clean out. Your roof will become very exposed to sun, wind and water damage once the protective covering is disabled; potentially leading to interior damage. If you roof is over 2 decades old or even approaching its’ 20th birthday, you may be on borrowed time. While many roofs can easily last well beyond their warranty years with proper maintenance and inspections; others simply cannot. If you don’t know the history of your building or who looked after things prior to you taking over; be extra vigilant so you don’t miss any signs of damage. When your drainage components are damaged or not functioning correctly, you may experience excessive water pooling closer to your home than recommended. Over time, this consistent amount of water draining close to your building’s foundation can cause issues. Inspect the way the water exits your roof and ensure it draining far enough away from your home. Sometimes a hefty windstorm can cause a few shingles to become loose and detach. If you notice any lying in your yard it is recommended to repair and reinstall. However, if many shingles have started to curl or lift, it may be time to replace the entire lot. Water and sunshine exposure do not take long to cause permanent damage. Inspecting your interior roof and windows can show you where exterior water is entering your home. Check around door seals as well and look for peeling paint or rusty or dirty lines running down your walls or past your window moulding. Sometimes, the interior damage is the first thing people see. If this has been a longstanding leak issue; dangerous black mold may be present. This needs to be professionally removed for best results as breathing mold spores can cause significant upper respiratory and other health problems. Claw Roofing has Calgary’s roof problems under control. We specialize in all types of roofing repair and replacement. Our highly qualified and insured team of roofing contractors can assess your current situation and provide you with an accurate quote. Let us help you protect your family and employees with a secure and lasting roof. Avoid unnecessary and avoidable health concerns by eliminating your exposure to mold. We look forward to addressing your roofing concerns efficiently and accurately.